First of all, I clearly have been experimenting with my blog layout. If it changes 100 times between today and tomorrow, don't be alarmed! It is Columbus Day and so the court house is closed today, meaning no court for me, only appointments. 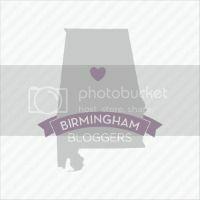 In between appointments I have found all kinds of fun things I can try on the blog and I intend to do just that! Anyway, back to the point of this post. I was talking to a friend this weekend and she was saying how fun she thought my book club sounded (it is, btw) and that she wished she could be in it. She lives out of town, so that isn't really an option, so I told her that if she couldn't start her own, she could just read along with our club. 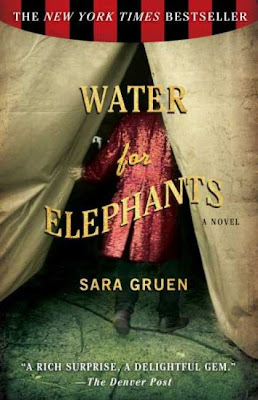 That gave me the idea to start posting what I am reading, both in book club and on my own, and then whoever wants to read along with me is welcome to do so and we can post comments about the book once we've finished. Ok, so here goes. This month our group is reading Water for Elephants, by Sara Gruen. I already finished it--it is fantastic! I stayed up late so many nights just trying to see what was going to happen! 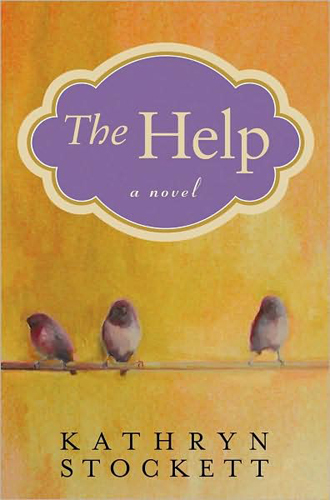 Since I already finished the book for book club, I started on The Help, by Kathryn Stockett. This one is awesome as well! It is over 400 pages and I'm already 1/2 way through and I've only been reading for a few days! The book club read this one a few months before I got in it and they all spoke so highly of it that I was itching to read it. Imagine my surprise when I found it in Mrs. Bailey's bookshelf! It is another page turner and I highly recommend it! Please post any comments you have AND if you have any books you'd like to suggest, please post them as well! We are always looking for new and interesting titles to sink our teeth eyes into!